When you think of dandelions, what comes to mind? I think of spring and all the senses that comes with it. I picture myself running in the yard barefoot with the warm spring breeze blowing over my face. I hear the lawn mower in the distance and the smell of freshly cut grass. I see newly grown flowers sprouting all over the yard; dandelions included. 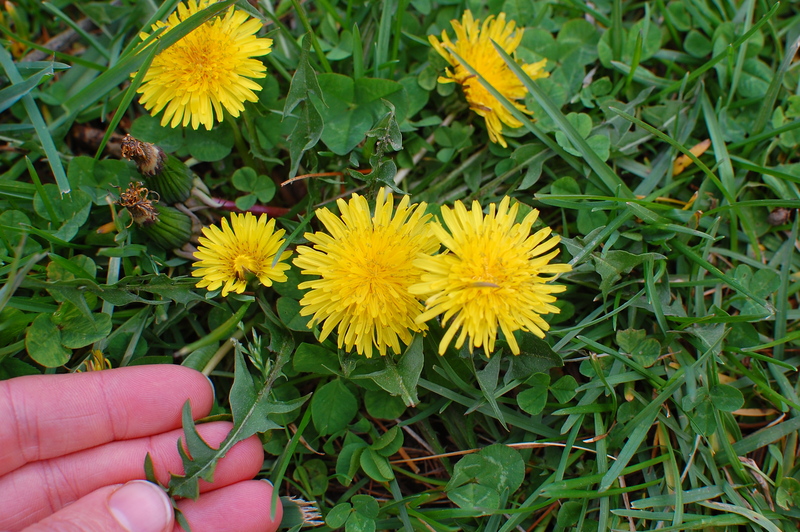 One thing I never thought of as a kid; however, was the taste of dandelions. Not only is this plant edible, but it is extremely detoxifying and beneficial for your body. 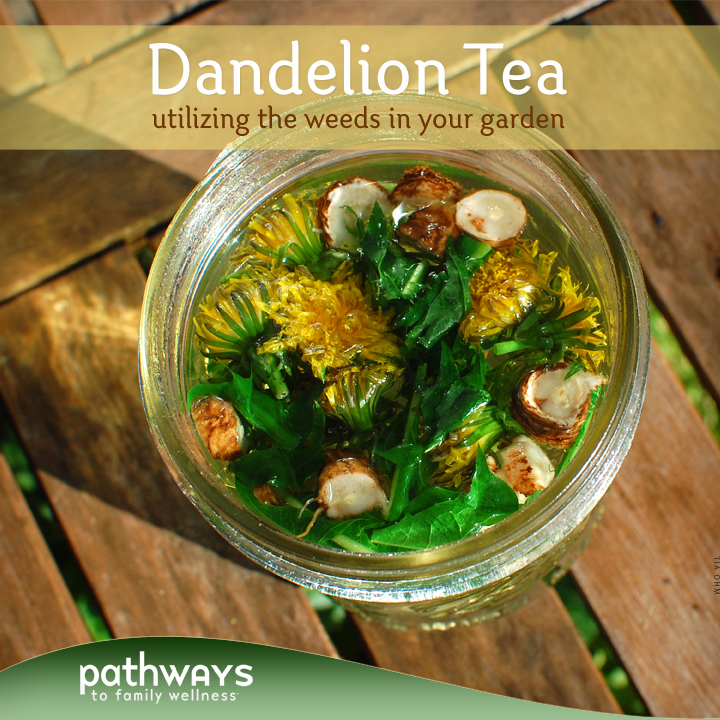 One of the main known properties of the dandelion plant is it’s ability to detox your liver. Since your liver is constantly working to eliminate the bad stuff and keep the good stuff in your body, drinking a cup of this tea every day will minimize the load your liver is constantly holding. 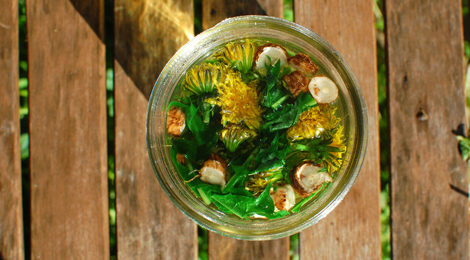 Did you know dandelion has 535% of the recommended daily value of vitamin K? It also provides 112% of the daily requirement of vitamin A which we all know is beneficial for skin health. This useful little weed is also known for it’s detoxing effects on the eyes and purifies the blood and is great for digestion, among many other things! It’s truly amazing what nature has to offer. Instead of weeding these out, try drinking them in tea instead. Once steeped, this tea will give you an nice earthy flavor and a light yellow color. Add some spices, honey or lemon to zaz it up, but otherwise simply enjoy a warm cup of this detoxifying power house mother nature has provided, likely only a few steps outside your front door. Clean your flowers and leaves well and add to a mason jar. 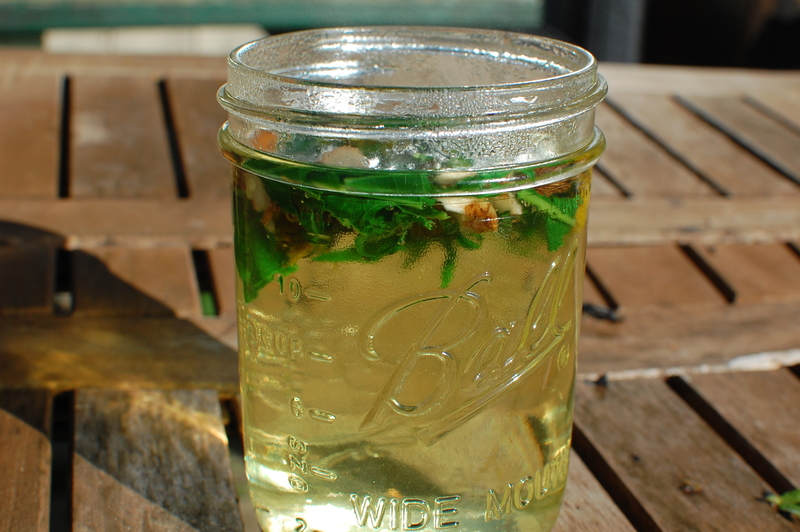 Clean your root thoroughly, chop, and add to your mason jar. Boil about 2 cups of water, add to your dandelion bits, cover and let steep for about 10 minutes in a jar or heat-proof container, lightly covered. Strain out the tea and add lemon or honey if desired. Enjoy warm. Be sure you pick your flowers from a lawn that has not seen fertilizer or pesticides. 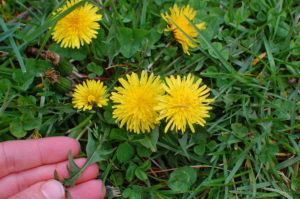 Young dandelion leaves may be less bitter and more desirable tasting. To extract the root, grab hold of the base of the plant and wiggle until you have loosened the soil. Give it a hard tug and the entire root should come out.